Randal Greene is a GIS analyst and software developer who has been working with TBTI since 2011. He played a crucial role in developing the Information System on Small-scale Fisheries (ISSF), an interactive global repository of small-scale fisheries that provides information on key characteristics of this sector in various locations around the world. In 2011, Randal graduated with an MSc from Memorial University, Canada, with a focus on Geographic Information Systems (GIS). His background also includes software development and marine navigation systems. He now works on delivering desktop and web-based GIS for systematic conservation planning, international fisheries profiling, park and trail mapping, and other spatial applications. 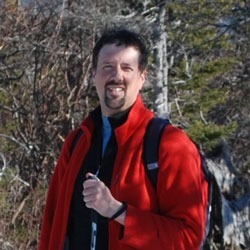 He is a consultant for organizations such as the Nature Conservatory of Canada, Islands Trust, the Northeast Avalon Atlantic Coastal Action Plan and the Canadian Boreal Forest Agreement.